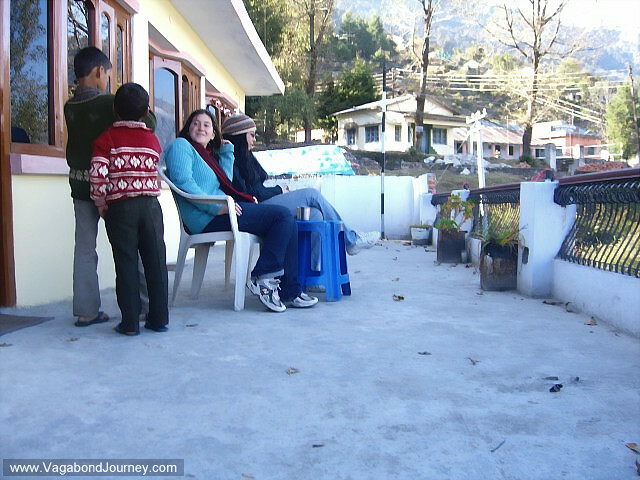 Indian children play with American tourists on the terrace of a hotel in Munsyari, India. Chaya and her friend Becca, pictured here, went on a hike in the foothills of the Himalayas. These women found them and invited them to join their picnic and impromptu dance party. 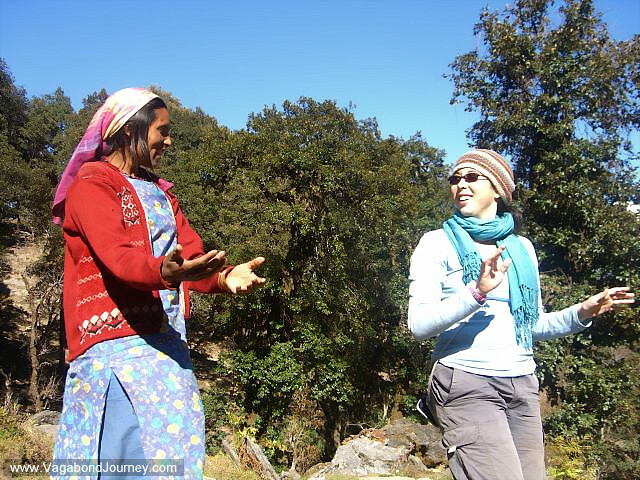 Himalayan woman teaching American study abroad student how to dance in India. 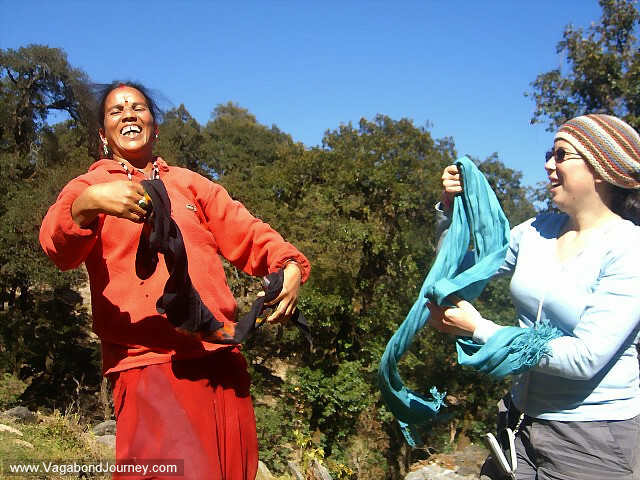 Dancing with scarves in Munsyari, India. 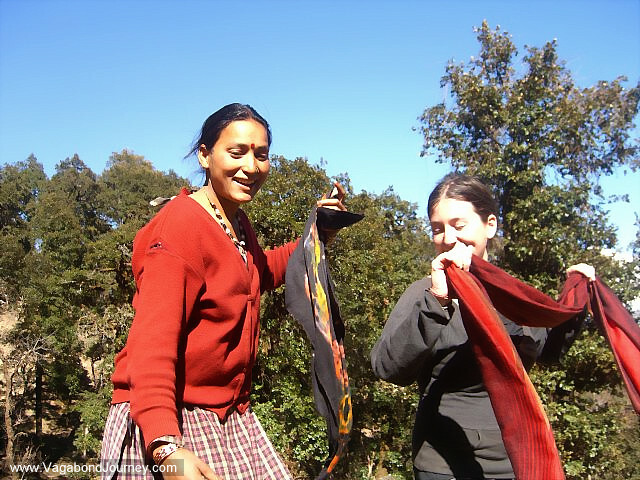 Chaya being taught how to dance with her scarf by an Indian woman in Munsyari, the foothills of the Himalayas. 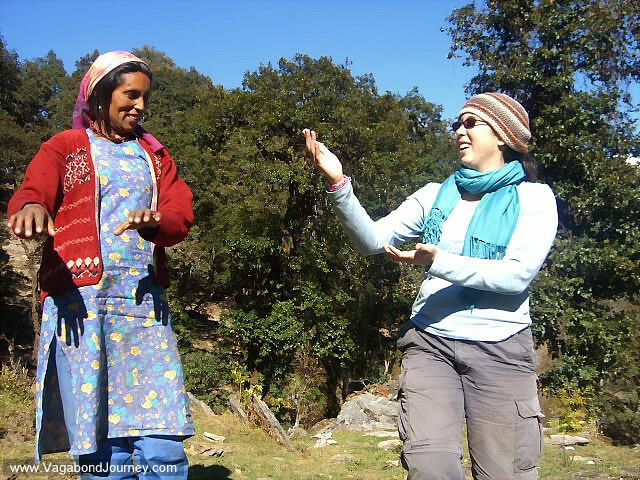 Indian woman and American traveler dancing on a mountain. Indian child in Munsyari, India. American study abroad student learning how to dance like an Indian. Indian woman teaching American how to dance. 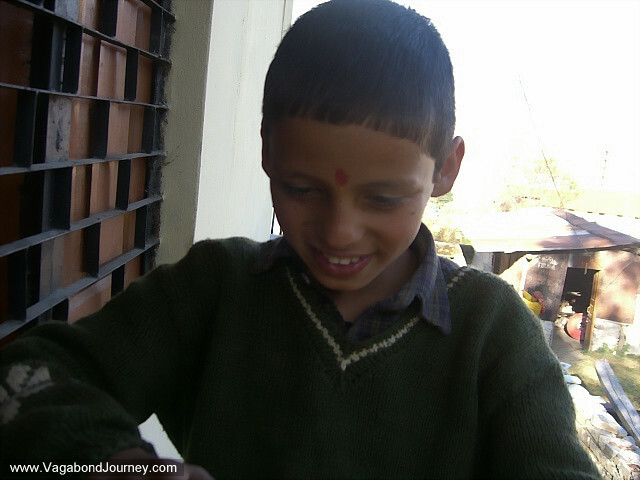 Indian child in the foothills of Himalayas.